The Chinese dive. We've all seen them. Those tiny hole-in-the-walls with little more than the bare minimum (and sometimes not even) usually offer up good eats at rock-bottom prices. There used to be many more of these places around. But, just like the evolution of the chain restaurant (see Bino's), many of these places have given way to much nicer restaurants. 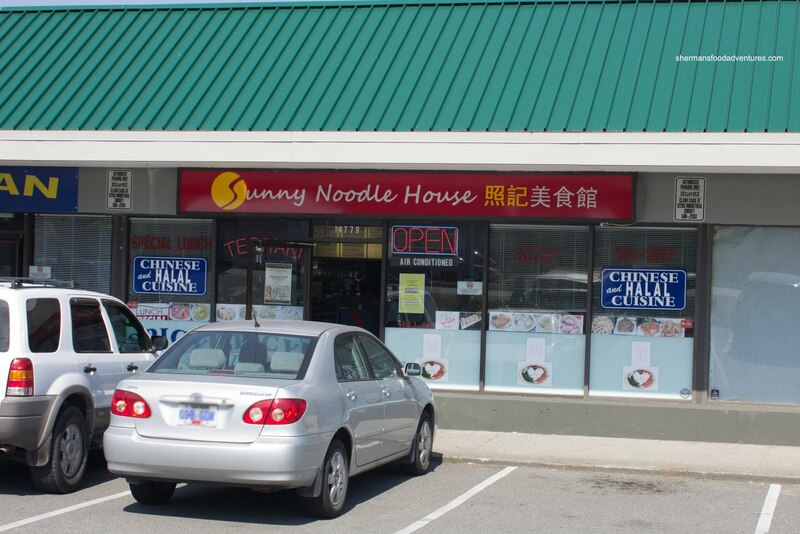 Imagine my curiosity when I found out about a new place called Sunny Noodle House in Surrey. Now this place is truly a dive. Nothing fancy here. In fact, this place is a one-man show. Really! The really nice dude there takes orders, runs the cash register, cooks, cleans and serves . Not sure how he does it... I mean, if one were to eat here, they really need to put up with the slight wait. There are no other employees! How does he have time to go to the washroom??? Since I was hungry, I decided to go for 2 dishes starting with the Singapore Fried Vermicelli. As the yellow tinge clearly illustrates, there was a considerable curry kick to this. I wouldn't call it spicy, but it was definitely not bland. The noodles were slightly chewy while a touch dry. I would've preferred the shrimp to have a snappier texture while the absence of BBQ pork detracted from the overall flavour. Despite this, I still liked it. 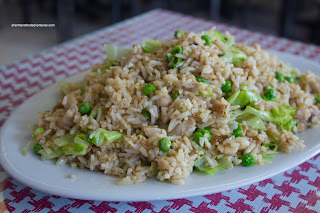 For my second item, I had one of my favs being the Salted Fish & Chicken Fried Rice. This was slightly greasy with rice that was a smidgen past al dente. There was a tonne of salted fish which made the rice very salty. I really didn't mind it too much because I've had my fair share of bland versions one too many times. Not satisfied with only the 2 dishes I had tried, I made a return visit a couple of weeks later. The nice man recognized me and gave me a warm welcome. Yes , it was him running the whole show again. This time, I was the only customer, so things were a little less hectic. 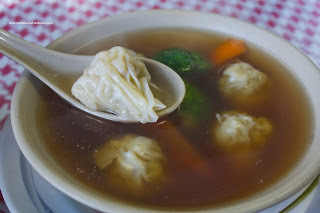 I decided to try a bowl of their Chicken Wonton Soup. Well, the positives first - the wontons were pretty good. The filling was light, moist and naturally flavourful. However, the soup was laughable. 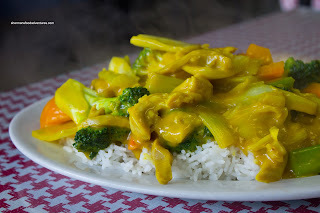 If a sprinkle of soy sauce into boiling water constitutes wonton soup... For my main plate of food, I went for the Curry Chicken on Rice lunch special for $4.95. This was a good amount of food for the price. 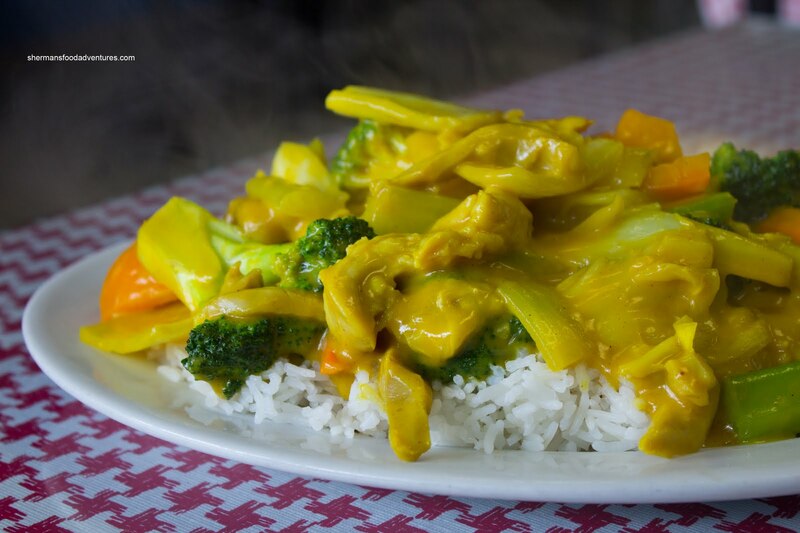 Lots of vibrant peppers with tender boneless chicken meat bathed in a radioactive yellow curry sauce completely covered the rice. The sauce itself was very mild while still exhibiting a good amount of flavour (which was on the verge of being salty). It could've stood to be a tad spicier. But hey. I really shouldn't complain about anything. 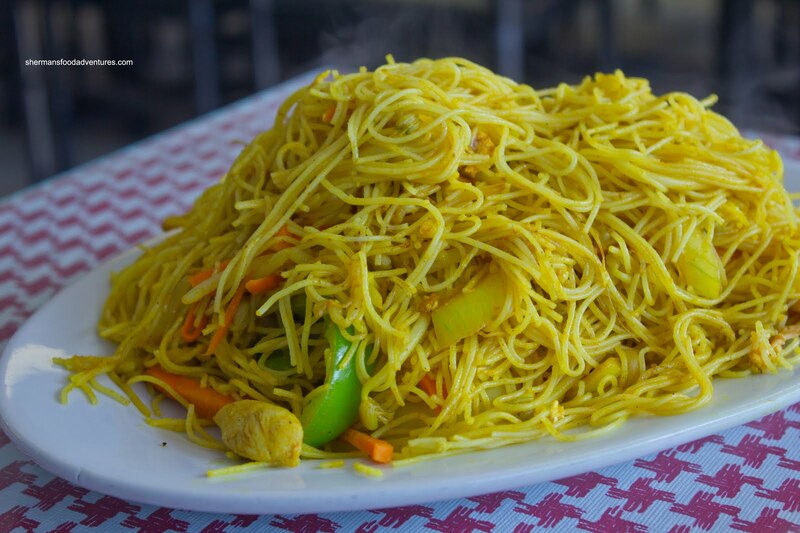 The food is cheap, portions are large and more than acceptable in quality. Honestly, I'm just amazed how this one dude can do everything all by himself: chef, sous-chef, waiter, cashier, busboy and greeter.